I actually own half the series in paperback and the other half in hardcover, so yeah. A few weeks ago (or something like that, I’ve been having a hard time keeping track of the passing of time), I realized that while I grew up with the Harry Potter books, I never read them all in order, like one right after the other. I just read them as I bought them from the store, or as my parents bought them from the store for me, rather. They’ve remained faithfully on my bookshelf through the years, though, while other have been put in storage under my bed or in the attic or closet or anywhere else that isn’t really on display. Anyway, I was looking at them, and decided to go ahead and read them all again, in order, one after the other (or mostly, a couple of books for book clubs have gotten in the way). It’s like reliving pieces of my childhood. The nostalgia is real, guys. And I’m only on the third book. I don’t really know what I can say about Harry Potter that people don’t already know, so let me tell you a story. Well, actually, two stories, both of which happened on the same day. A friend of mine and I took a trip to Universal last year (the one in Orlando), and Harry Potter World was basically our top stop. The second you enter it, though, you’re surrounded by fanatics and stupid people. It’s pretty much an either or, as long as you’re not counting the actual park workers. We were walking over the bridge you can see the castle from when we overheard some girl ask in all seriousness, “So, that’s where they filmed the films?” Yes, they filmed the entire thing in Florida. Later that day, after taking the Hogwarts Express to the other park where Diagon Alley is located, we were walking by the houses from the fifth book, the ones where Order of the Phoenix is hidden. The was this woman absolutely excited to take a picture on the stoop of the Order of Phoenix house, and she was not shy to let anyone walking by. Then she climbed the steps to the house next to it. It’s pretty obvious which house is the right one, too. It’s a different color, and Kreacher peaks out from one of the windows every once in a while. It was a serious debate between us whether or not to tell her. We finally yelled it as we were walking away, though I have no idea if she heard us or not. Since I’m doing Sunday Funday, a part of me wants to also make Monday a themed day, too. I certainly don’t want to do it for every day of the week, but since Sunday is dedicated to games, maybe Monday can be dedicated for something else. Maybe books? I do read a lot. Manic Monday is the only thing that’s coming to mind, and I’m not naming a theme for my blog after an 80’s (?) song. Don’t make fun of me, but I can only hear the song in my head. I can’t remember the decade it came from. Time lines and dates are exactly a strong suit of mine. I think I may have to go do a google search on book terms that start with M, or rhyme with Monday. If there’s a word I’m looking for already stored in my brain, it’s completely eluding me. Back. Nope, nothing was screaming out to me. I’m going to call it Hardcover Monday. Because Mondays are hard and books have hardcovers. Yeah, not the best, but it’s a split decision I just made, and it’s staying. So yeah. I might as well get on with it while you’re here. 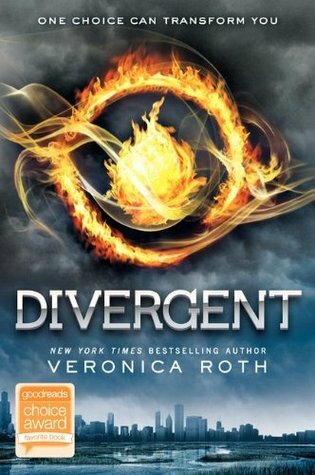 My reading endeavors last week were all used on the Divergent Series. A great set of books, even if some people are getting sick of the genre already. I don’t care, I love it. For the people who aren’t into them, well that’s their problem, not mine. Anyway, I watched the movie while it was on HBO a couple of weeks ago, and though I don’t usually read the book after I’ve seen the movie, I made an exception. That’s the synopsis for the book. I’m about to talk about all three, but with no spoilers. Or as little as possible. Honestly, I fell in love with the first two books, but am I alone in thinking the third one was a little weird (aside from the end, which I’ll get to in a minute)? It in part made me feel like the author couldn’t come up with anything else and settled on that scenario, but I was still on board. I’d grown attached to the characters, and even though as a writer it wasn’t the direction I would have chosen, it was ultimately her decision and I was going to respect that. Then the end. I won’t say what happens. And if anyone reveals a spoiler in the comments, your comment won’t get approved, just so you know. Until I can find a way for spoilers to be hidden like they can be on Goodreads, I won’t allow them. I get that there’s an arbitrary time limit people believe in regard to spoilers and having time to read/watch/whatever before the world is allowed to speak without reservation, and in real life I’d probably join in with those beliefs. But this is the internet. Time is different here. And, well, if someone wants to know what we’re talking about, they’re a google search away from it. But right here, right now, it’s a moral low ground I refuse to step foot on. But that end. I desperately want to call it a cop-out, even though I know that’s not what it was. But at the same time, just, WHAT WAS SHE THINKING? That entire journey for that? Seriously? The only thing that semi saved it for me (and let’s be real, that’s pushing desperately into overstatement) was the zip line. Guys, it takes a lot for me to throw a book across the room and leave it there, walking away leaving it in a heap on the floor than I don’t make right almost immediately. It already takes a lot for me to throw the book in the first place (respect and awe and all of that). When it’s a library book that’s already going to take more than its fair share of abuse, forget about it. But I did that with the final book of this series. That’s how attached and how angry I got. It was difficult for me to pick it back up and finish those last fifty pages. I’m actually struggling with returning it to the library now. Not because I want to harbor it, or because I did damage to it I’ll have to pay for (I didn’t, I swear), but because I want to spare anyone else from that ending. At the same time, I want people to suffer with me. On some level, that makes me like Tris, which makes me feel only slightly better. It’s nice to feel like a character from a book. That’s why we love the stories we do. We connect with the characters on some level. I really used this first Hardcover Monday for a bit of a rage, didn’t I?